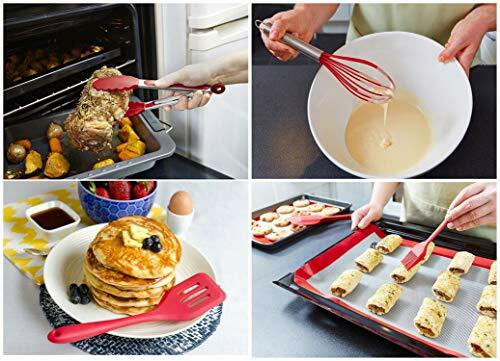 View More In Tool & Gadget Sets - Page 5. Thanks to the non-scratch silicone heads, you won't risk damaging the non-stick surface as you cook. 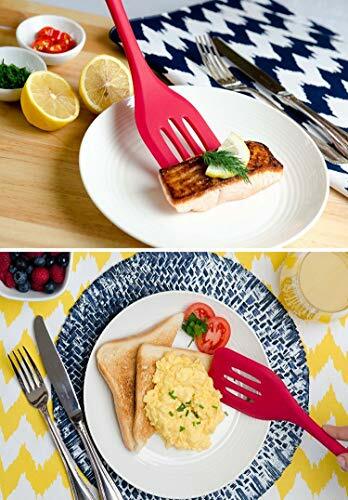 This same silicone greatly reduces the chances of the utensils melting too! With an unmatched heat tolerance of 480F, you'll never worry about the tools easily melting like plastic and rubber ones do. 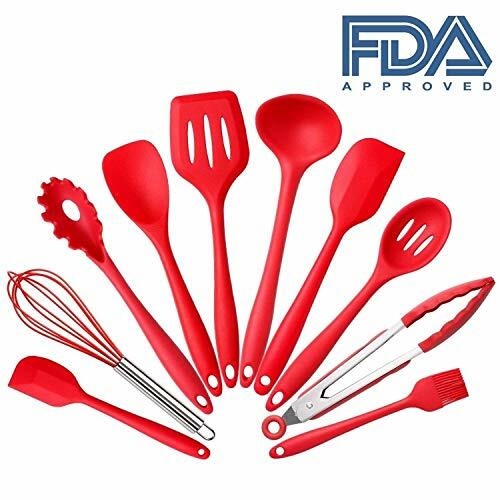 PACKAGE CONTAINS: Brush, Whisk, Pasta or Spaghetti Spoon, Slotted Spatula, Ladle, Slotted Spoon, Stirring Spoon, Large Spatula, Small Spatula and Tongs and perfect for all types of food, cooking, kitchen accessaries, stir fry, stirring cream, butter, ice cream, etc. HIGH QUALITY: 100% FDA food grade and BPA free silicone. Dishwasher Safe. The products are the highest-grade, non-stick, non-toxic, stain resistant, odorless, and hygienic silicone. 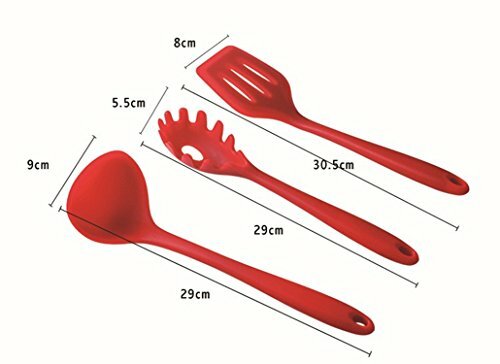 The core of the utensil is solid, there is no opening that water gets into the utensils so there is no leakage anywhere. 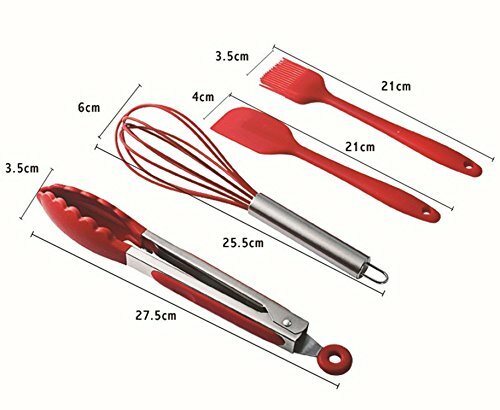 HEAT RESISTANT: All utensils are heat resistant temperature from -40 to 230 Centigrade. And they are also stain & odor resistant, which mean you can use it without any worries. 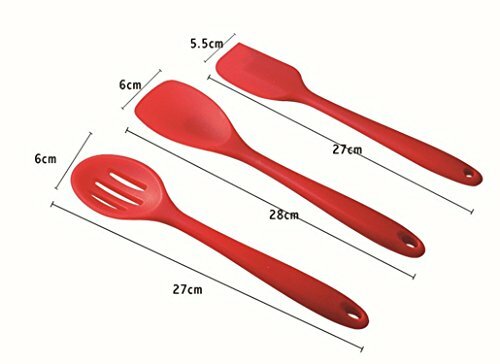 EASY TO CLEAN: This silicone utensil sets are very easy to clean , just simply wipe in hot water or place them in the dishwasher. 60 DAY WARRANTY - Your purchase is backed by our exclusive 60-day warranty - Mokpi will offer a free replacement or refund if anything goes wrong with the product. If you have any questions about this product by Mokpi, contact us by completing and submitting the form below. If you are looking for a specif part number, please include it with your message.